If you are watching your waistline, this skinny sundae will satisfy your sweet tooth without breaking your diet. 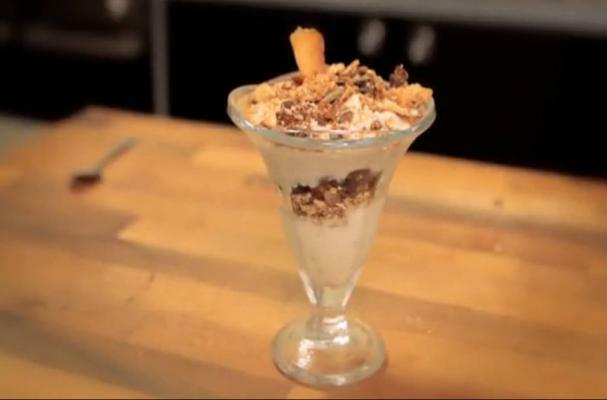 The sundae is layered with homemade granola, flavored with coconut, honey, and pumpkin seeds, and banana frozen yogurt. You won't have to feel bad about going back for seconds.